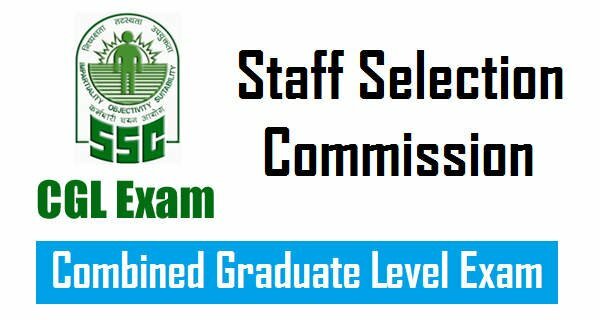 Staff Selection Commission - Combined Graduate Level Examination, often referred to as SSC CGL is an examination conducted to recruit staff to various posts in ministries, departments and organisations of the Government of India. It is conducted by the Staff Selection Commission for selecting staff for various Group B and Group C posts. The Staff Selection Commission was established in 1975. Every year, around 30-40 lakh applications, are received for CGL Exam. Every year, a huge number of applicants appear in this exam to become the part of this immense recruitment procedure. Every year thousands of vacancies are filled by SSC in Government departments. Govt. jobs are the most sought after career choice in India. More so, the government is focusing on providing better facilities and services in every aspect of our lives. Govt is focusing on the development of our country and to do that millions of Jobs will be created in the coming years. SSC is the leading Govt. organization that provides employment to lakhs of students in India. A great opportunity lies ahead for all the SSC aspirants. Inspectors of Central Excise & Customs. Sub-Inspectors in Central Bureau of Narcotics & CBI. Divisional Accountant, Jr. Accountant, Auditor & UDCs in various offices of Govt. of India. Compiler in Registrar General of India. The Central Government has announced that they will hire as many as 2.2 Lakh people from March, 2015. Out of these a maximum of 70,000 vacancies, will be created in Income Tax, Excise and Customs Department. Approximately 14 lac candidates appear for the SSC CGL exam every year. The SSC CGL Exam 2016 had an initial count of 4500 to 5000 vacancies. However, the number of vacancies was increased to 9000 later. For 2017 CGL Exam, the number of vacancies as declared by Staff Service Commission of India is 8089. The total number of vacancies for SSC CGL 2018 will be updated soon here. SSC CGL 2018 Exam is conducted in 4 different levels. The levels are known as Tiers. The first three levels, Tier-I and Tier-II exams are conducted online. Tier-III is a pen and paper mode of examination while the fourth level, i.e. the computer skill test can be taken anywhere as per the candidate’s availability. The major sections asked in SSC CGL 2018 Preliminary Exam are General Awareness, Reasoning, English Language and Quantitative Aptitude. Candidates applying for the various posts need to have a bachelor's degree from a recognized university at the time of applying. Age of the candidate must be between 18 and 32 years (depending upon post applied) as of 1 August of the test taking year.A candidate must be a citizen of India. SSC CGL 2018-Age Relaxation: The Age Relaxation for SSC CGL is according to the set Government standards. (A)Assistant Audit Officer/Assistant Accounts Officer-You must have completed the bachelor’s degree from a recognized University or Institute.It is desirable to have completed Chartered Accountant or cost & Management Accountant or Company Secretary or Masters in Commerce or Masters in Business Studies or Masters in Business Administration (Finance) or Masters in Business Economics. (B)Junior Statistical Officer –Bachelor’s Degree in any subject from a recognized University or Institute with at least 60% Marks in Mathematics at 12th standard or Bachelor’s Degree in any subject with Statistics as one of the subjects at degree level. (C) All other Posts – Bachelor’s Degree from a recognized University. Those who are appearing in final year of their graduation can also apply but they should complete their graduation before 1st August 2018. SSC CGL 2018-APPLICATION FEES: The application fee for 2017 is Rs. 100. All women candidates and candidates belonging to Scheduled Caste, Scheduled Tribe, Physically Handicapped, and Ex-Servicemen eligible for reservation are exempted from paying application fee. Applications fee should be pay only through SBI either in the form of challan or through SBI Net Banking or any other bank Credit/Debit Card. Challan form will be generated online. To pay fee in cash, candidate should take print out of challan generated online after the completion of Part-1 registration. Deposit the requisite fee in any branch of SBI and then continue with the Part-2 registration. The SSC CGL Online filling up of application will start from 5th May 2018 to 4th June 2018. Click the Direct Link provided above. Fill your Registration details carefully. Candidates need to provide basic details like name, parents name, date of birth, email id, mobile number. Click on submit button to submit their completed application form of SSC CGL 2018. Do not forget to verify your entire details before submitting the form. Now fill your Educational Qualification details. Upload your scanned Photograph, Signature and prescribed Documents/Certificates by logging in with registered account. Photograph - The photograph must be white colour or light coloured background and should be more than 4 kb in size and less than 12 kb. The photograph resolution should be 100*120 pixels in width and height. Signature - The signature should be in black or blue ink on white sheet. The scanned copy of signature must be in jpg format and it should be more than 1 kb in size and less than 12 kb. The resolution should be 40*60 pixels in width and height. The information submitted at the time of registration and submission of Part-I will appear as auto-filled and candidates can fill up remaining fields in the SSC CGL 2018 application form. After filling up the application form, candidates need to preview the entire application form of SSC CGL 2018 once to look for any glitches in the form. Verify the entire data entered by you. Candidates are advised to download and get print copies of submitted application form of SSC CGL 2018. Candidates can now proceed to submit the application fee for SSC CGL 2018 either by online mode or offline mode of fee payment. Staff Selection Commission will be announcing the release of applications for the posts of Junior Engineers. The posts will be for the engineers in Civil, Mechanical, Electrical, Quantity Surveying and Contract Engineers. Click Here to know more.